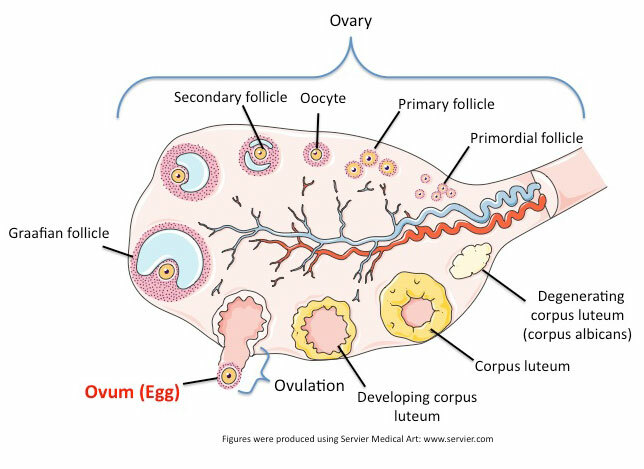 An egg, also known as an ovum, is the female reproductive cell or gamete. Eggs are arrested at metaphase of meiosis II, and following ovulation, they can be fertilized in the presence of sperm. In addition to containing DNA, the egg contains critical stores of maternal mRNAs and protein that will support fertilization and subsequent embryo development.